I’m sure that management of the local art museum would be appalled that I often like the shadows cast by art better that some of the art they display. It’s just that the shadows are ephemeral (and sometimes more interesting). In truth most things in life are ephemeral, we just don’t realize it at the time. 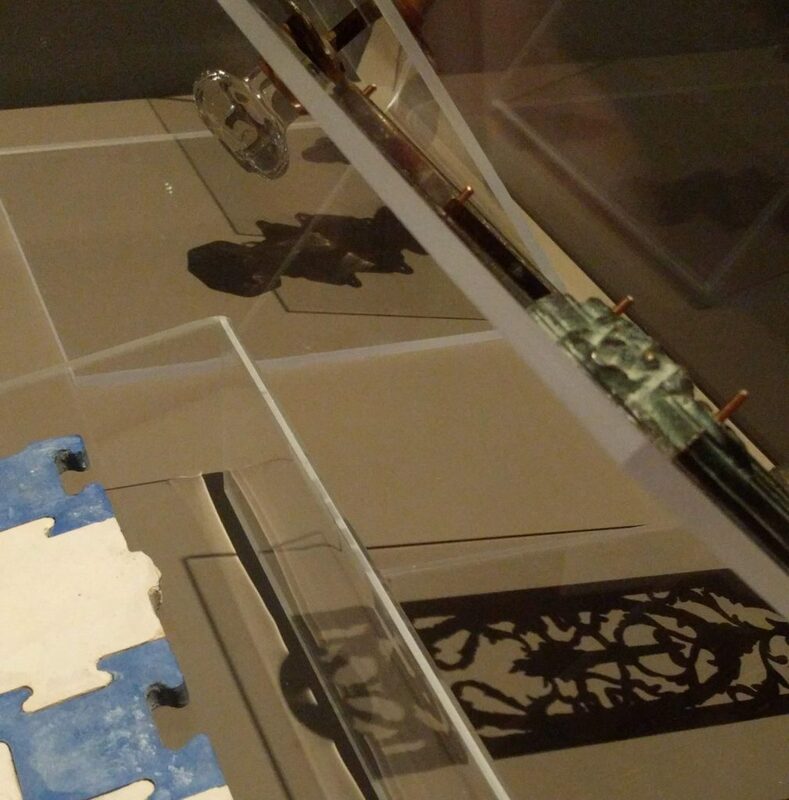 I thought this piece was fabulous, as it has not just one, but two of my obsessions: shadows and reflections. I didn’t read the label, so I have no idea why this piece was displayed. So the theme of the room was art by Red Indians (also known as Native Americans, Indigenous Peoples, etc), so it was probably made by an Indian artist. I considered saving this picture for the series that I have called “What a knob”, but I decided that I really like the shadow version better. And what is so special about this knob? Well, it came from the mansion of the city founder. I suppose that at some point they found a more interesting knob, so this one was consigned to the trash heap, until now. I love this shadow cast by a Chihuly glass sculpture. It always makes me think of the worms that they put in the bottom of bottles of tequila. But this bit of shadow put me in mind of a pterodactyl (so you know where this post is going next). 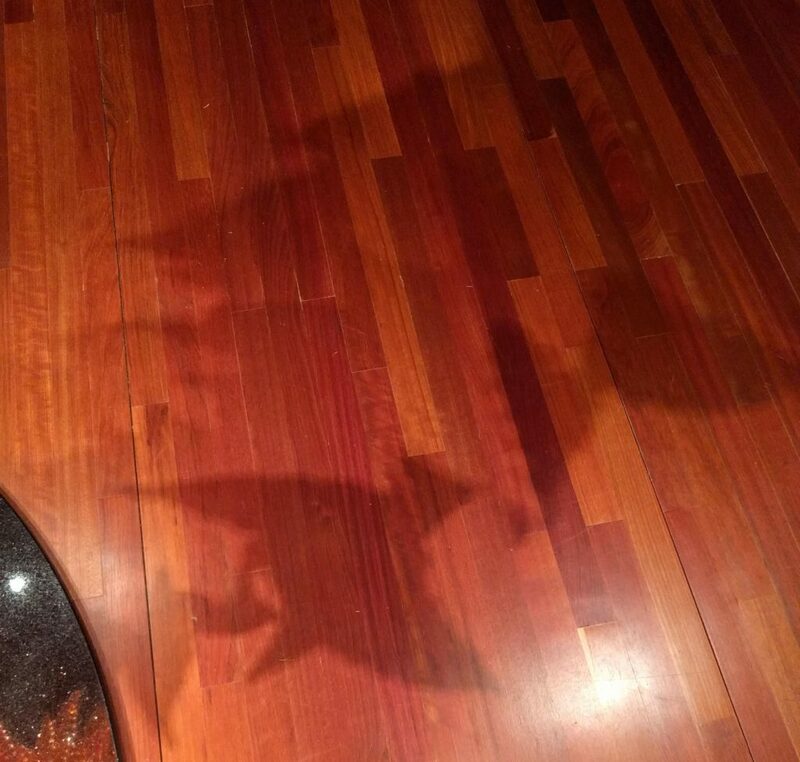 Yes, here is a shadow cast by an actual pterodactyl. 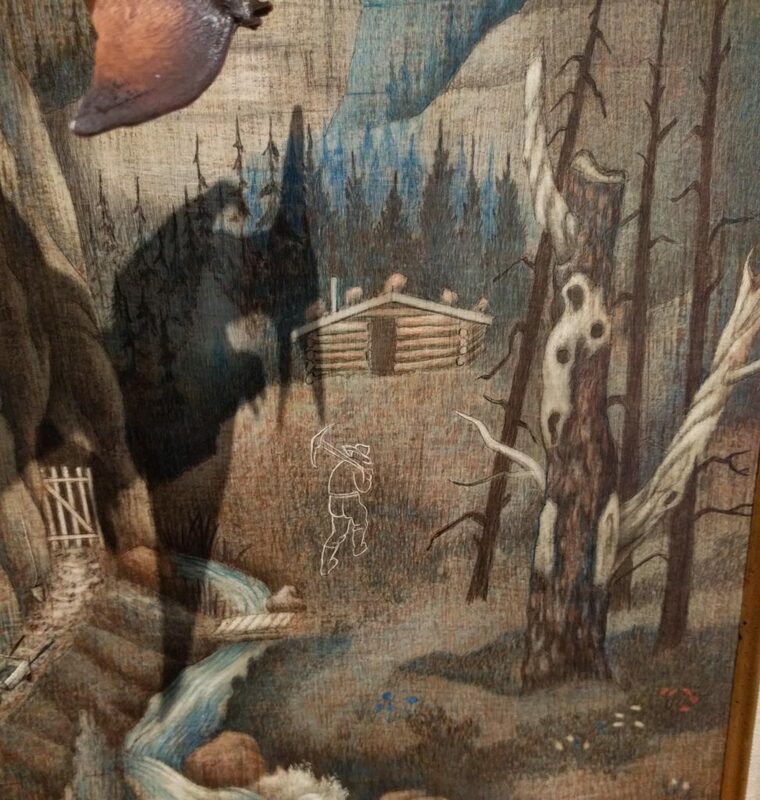 The painting is supposed to show the ghost of an early miner, hoping to make his fortune in gold or silver (doesn’t look like he was successful). 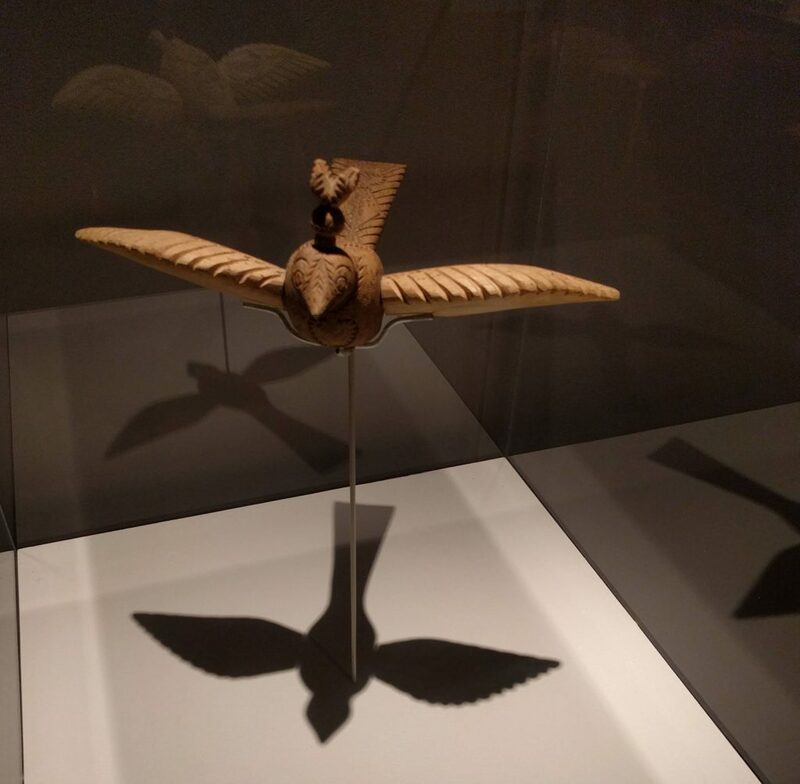 And of course I think the painting is much improved with the addition of the shadow of a pterodactyl, courtesy of the fabulous museum lighting. You’re right – most things in life are ephemeral. Sometimes thinking about that makes me sad. On the other hand, I’m glad some things are ephemeral.